Back in the still warm and light Autumn days of October (yes, that seems somewhat distant looking outside this cold December day), Hannah was invited to Spain to check out the new range of Kona drop bar bikes for 2018. While there, Kona unveiled its updated Jake range of race-bred cyclocross bikes. Hailing from the Pacific Northwest, Kona has been making bikes since 1988, starting with mountain bikes, but even the Jake has a long heritage. It was launched 20 years ago now as Kona’s first foray into drop-barred bikes. It quickly gained an iconic reputation not only as the race-bred bike it was designed as, but as a versatile and fun machine for adventuring and commuting too. This year’s Jake sees a full redesign from the ground up, with new frames in both carbon and aluminum, a full carbon fork, Shimano E-thru axles, and flat mount hydraulic disc brakes on all three models in the line. 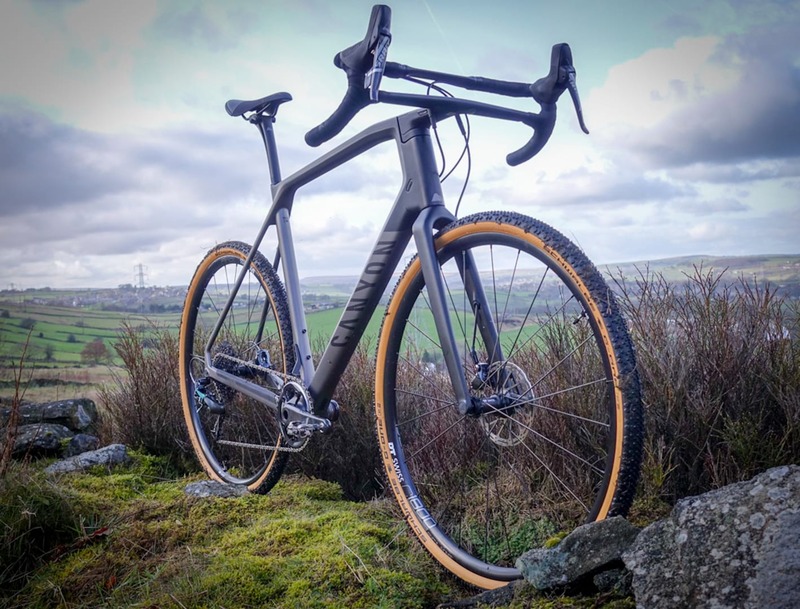 Born from the “muddy trenches and sand pits” of the CX World Cup, Kona reckon the Jake is still equally at home on or off the race course, but with their Rove and Sutra multi-purpose, multi-surface drop bar adventure/gravel/touring bikes, the Jake range still sits firmly towards the racier end of the #dirtydropbargoodness spectrum. There are 3 models in the Jake range; The top of the range Super Jake (RRP £3999), built for World Cup racing with a 1x Sram Force 1 groupset and Clement Ushuaia rims. The Major Jake (RRP £2999) which we’ll be testing, with the same frame and fork as the Super Jake, but a Shimano 105 2x groupset and WTB i19 Aysm rims. Finally, completing the line-up is the alloy Jake the Snake (RRP £1799) with a Shimano Tiagra groupset and WTB STP i19 rims. All 3 share the same geometry, which for this year has been significantly ‘modernised’. The bikes are longer and lower with head angles also half a degree slacker than previous versions of the bike. Bottom bracket height has been lowered, hence lowering a rider’s centre of gravity for an extra bit if high speed stability, but the bikes stand taller overall. This is because Kona have prioritised the size and shape of the main triangle to create easier shouldering for when you’re deep in the pain cave mid-cross-race. The head tubes are longer to add this shouldering room and better fit those who don’t ride aggressive positions, but these changes have also contributed to an increased stand over height. Increased tyre clearance means the frames can now take up to a 40mm wide tyre for those who aren’t using it as a purely racing machine, and 12mm thru axles at both ends allow for tool free wheel changes. There’s also mudguard eyelets so the bike can be adapted for riding that isn’t just on the race course. The frames incorporate all the other features you’d expect from a modern carbon cyclocross frame, with internal cable/wire/hose routing, and flat-mount disc brakes. There’s also internal routing space for a dropper post if you’re running a 1X setup. Interestingly, Kona has gone with a 31.6mm seatpost diameter rather than 27.2mm which is becoming more common. The decision for this is reportedly that they see compatibility with dropper posts as important going forward. The carbon frame has reportedly got 10% lighter, 10% stiffer and yet 10% more compliant. 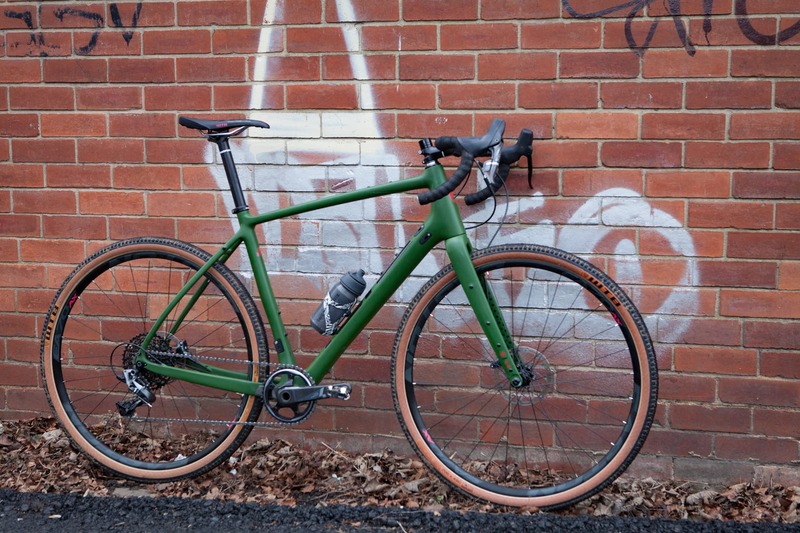 The Jake frameset is not as light as some top end cross framesets, with Kona openly stating that it is aiming instead to focus on the durability of its bikes. Despite this, a 56cm frame (closer to a 58cm size in other brands) weighs around 1080g, with a 460g full carbon fork (300mm uncut steerer), so still relatively lightweight. First impressions of our Major Jake looks good, with an eye-catching gloss turquoise paint job and bronze highlights. As mentioned above, the frameset is completely new for this year. Thru-axles and flat-mount brake mounts are almost ubiquitous on new bikes now, so it’s no surprise to see them on the Major Jake. The frameset also features internal cable routing – not just an aesthetic bonus, but anything that keeps lines smooth and strips away points that mud can cling to is a good thing. Unusually for a bike with a close eye on racing, the Major Jake sticks to a two-by crankset. For some this will be a real bonus, others will be keen to strip off the front mech and fit a narrow-wide single chainring. Gearing is via a Shimano 105 22 speed drivetrain, RS500 crankset with 46/36 front chainrings (possibly a little steep for some? ), and an 11 speed, 11-32 cassette. It’s an all Shimano show and stopping power is provided in the form of 105 hydraulic disc brakes, with STI levers, and RT64 160mm centerlock rotors. The wheels are WTB i19 Asym rims on Formula 12mm front and 142x12mm rear hubs, both thru axle. While the wheelset looks good value, we reckon it will be the first item on the list of potential upgrades for those who want to use the Major Jake as a race bike. Other than a WTB SL8 Pro saddle, remaining finishing kit is Kona own-brand. I’ll be putting the Major Jake through its paces over the next couple of months, both on the technical local trails, and out on the race course (gulp). I’m relatively new to all things ‘cross and gravel, but my first ever mountain bike was a Kona, so the brand holds a sentimental place in my heart. 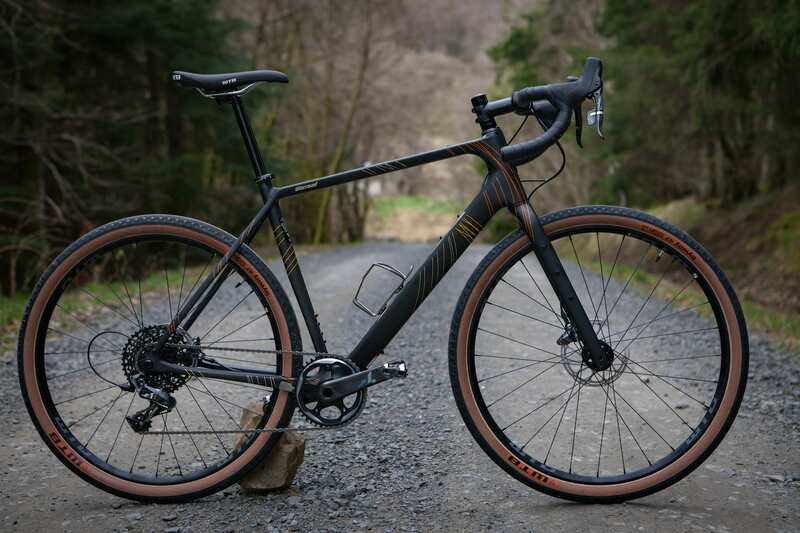 I’m looking forward to seeing if this bike will lead me to being hooked on ‘cross riding and racing in the same way the mighty Caldera did for me with mountain biking!